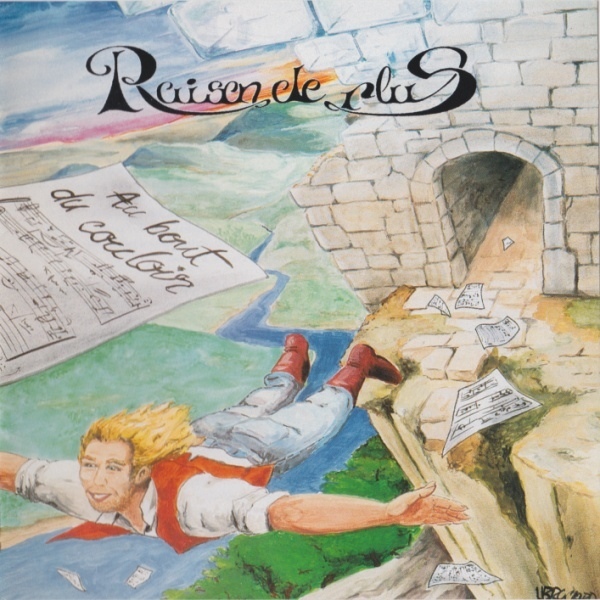 Although Raison De Plus has been active since the mid-80s – their first recorded work being a single contribution to the Musea compilation LP Enchantement, followed by a single release in 1988 – Au Bout du Couloir is the band's first album proper. They are a five-piece of keys, flute, guitar, bass, and drums, with guitarist Jean-Luc Henriet and keyboardist Dominique Marrion handling the vocal duties. One can detect in their music a strong instrumental influence from bands like Camel and Rousseau, as well as the echoes of the great French symphonic bands like Mona Lisa, Ange, and Atoll. Like these bands, Raison's compositions fit squarely in the melodic symphonic vein with delicate counterpoint offsetting the bold and colorful melodies. All but three of the eleven tracks feature prominent vocals, though both of the vocalists are excellent and fit well within the scope of this type of music. Nonetheless, if French lyrics are a problem... (although one would hope that such a linguistic predisposition would not be a problem for Exposé readers). Since flute is not featured on every track, flautist Philippe Rose often doubles on keyboards, and often Marrion doubles as a second guitar; with such a variety of configurations, their sound remains fresh and vital throughout the album's duration. In all, this is an album that fans of bands like Camel, early Atoll, and Genesis in their better days won't want to miss.